I found many threads about filter changing on the forums but they speak simply and shortly without detailed operation procedure and photos for reference. So I did the change at the moment and I take lots of photos for your guys. 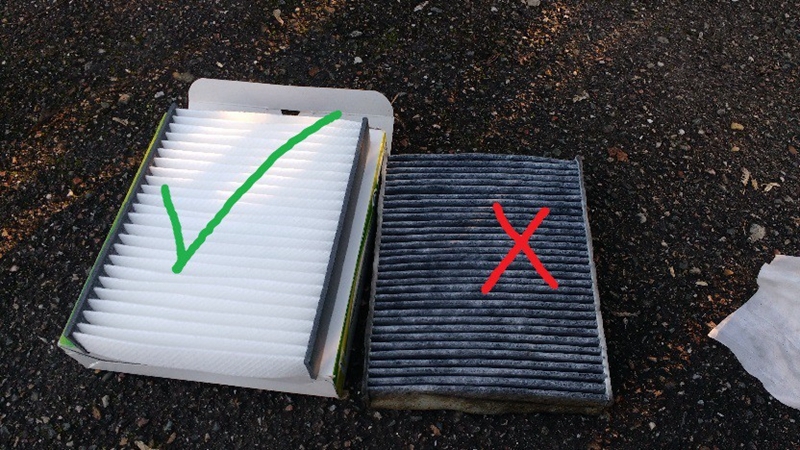 To change a cabin filter on a fiesta mkV is, let’s say it clearly, boring. 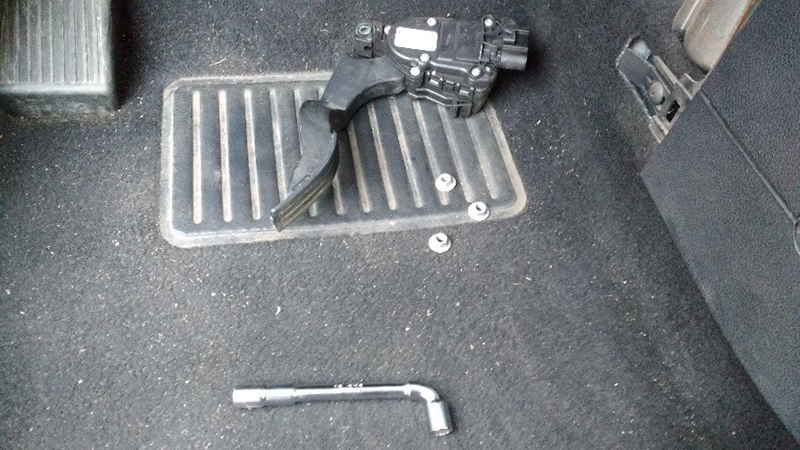 Indeed, while on many vehicles just unclip a plastic advantageously placed somewhere in the engine compartment, Ford engineers are big jokers, he thought it would be a good idea to place a piece that changes all the 15,000 km to an inaccessible place and requiring the removal of a pedal. 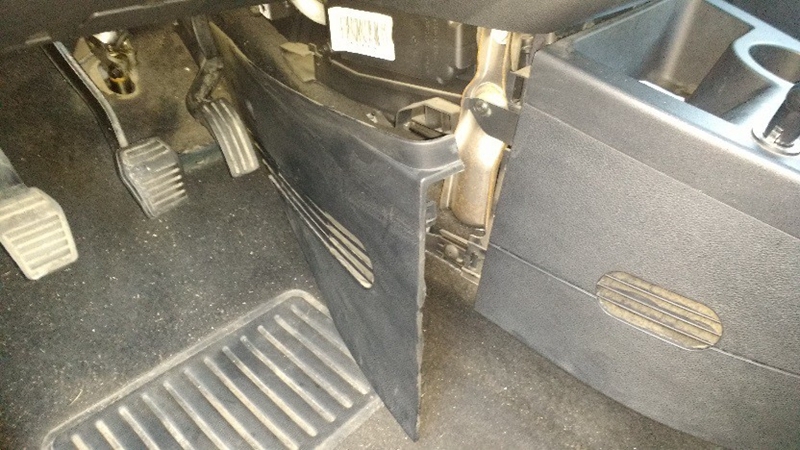 – A passenger compartment filter, dimensions (h * l * L) 35 * 240 * 190. 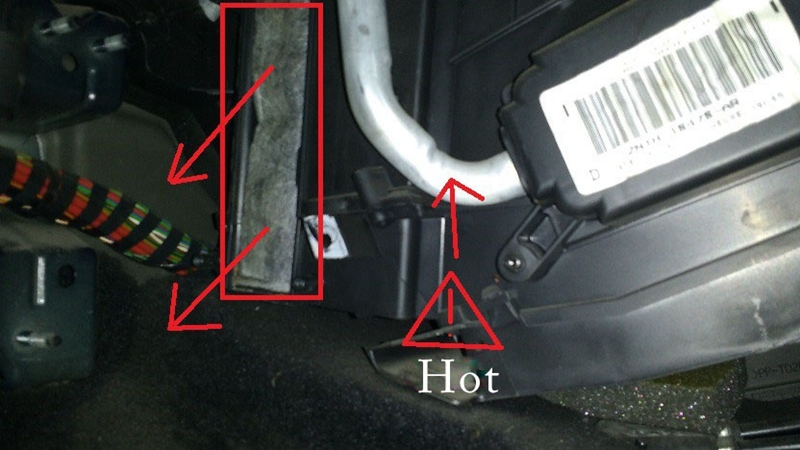 There is a very hot heat pipe that passes next to the area where we will work, for protecting your hand, you should prepare a pair of glove. 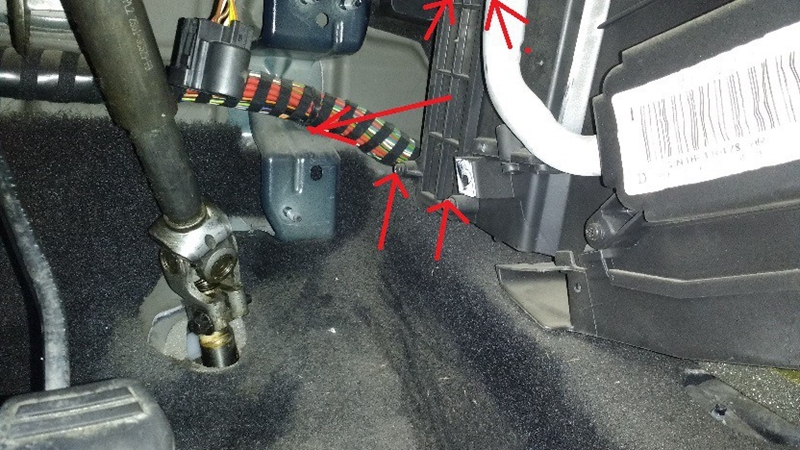 It is very simple, unscrew the screw near the accelerator pedal, and firmly pull the side closest to you to disengage the cover. 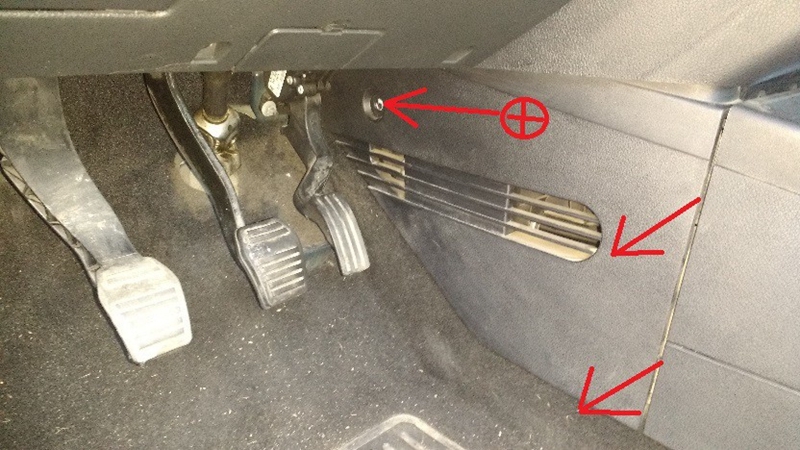 2) Remove the accelerator pedal, this step is less simple. 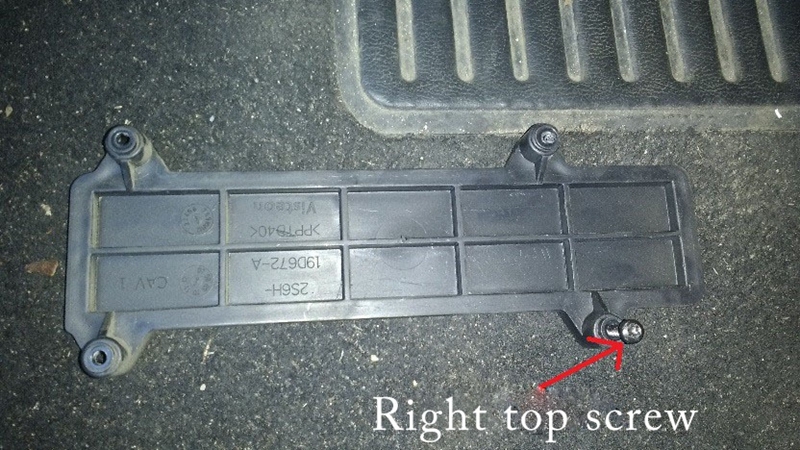 First, disconnect the connector at the top of the pedal, and unscrew the two nuts of the top, then the one of the bottom. I loosen the nuts with the short side, then unscrew them with the long side. Then pull the pedal towards you. 3) Unscrew the filter cover We are coming! But first of all, get your torx 15 screwdrivers. The cover is screwed by 4 screws, unscrew and remove the cover. 4) Remove the old filter. Grab the filter, then pull, if it does not come, move it sideways to unlock the stuck parts. You have to bend it towards you to take it out. 5) Check the dimensions of your new filter. 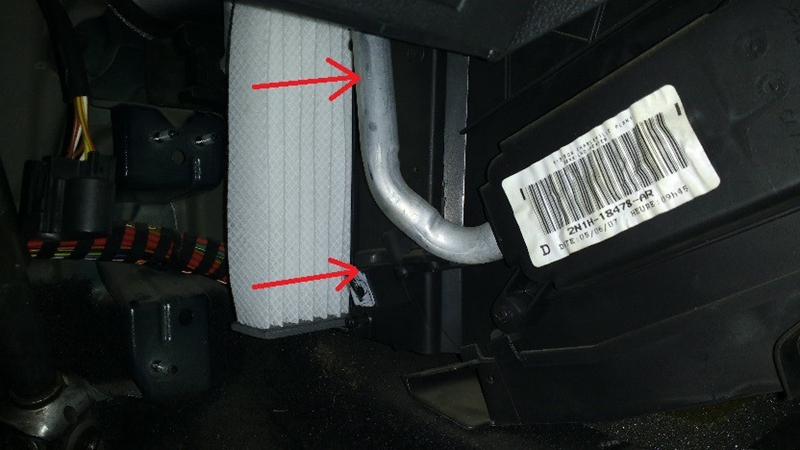 6) Position the new filter Check the direction of installation, the air flow must be directed from the engine side to the passenger side. it would be stupid to have to restart everything after having made a mistake. The filter fits more easily than it comes out, do not hesitate to fold it slightly as for the old one. 7) Revisit everything in the reverse order, and that’s it. 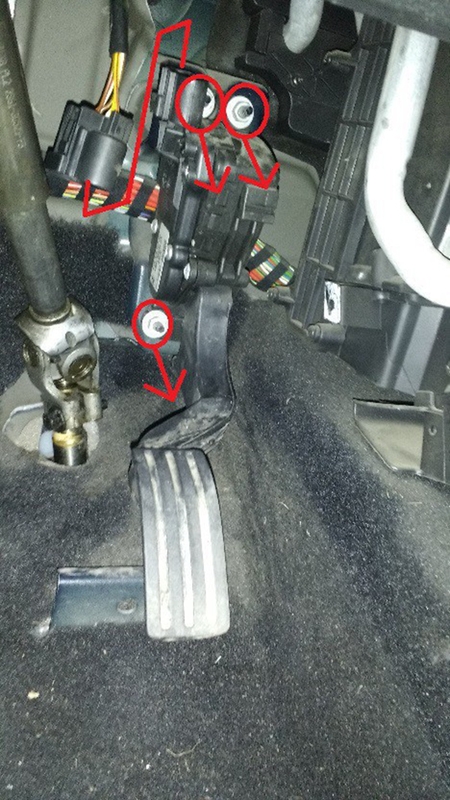 Double-check the connection of the accelerator pedal, you must hear something clipping. 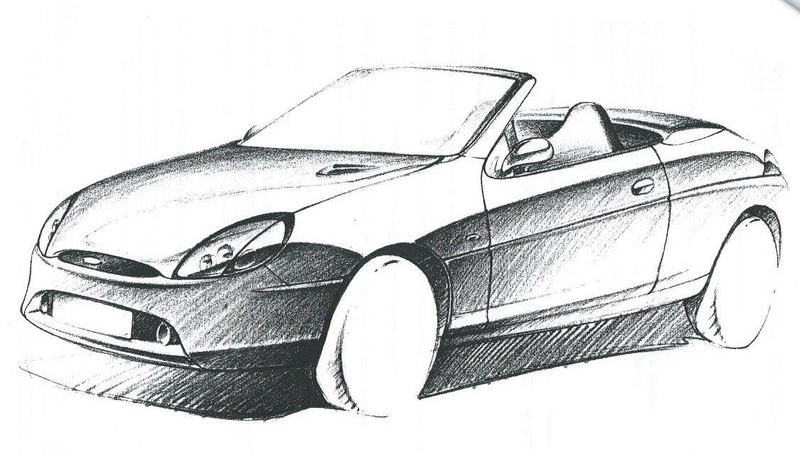 If it is not connected properly, you will have a flashing “!” on the dashboard when the ignition is switched on.